The earthquake that hit Japan last Friday resulted in the ground shift of 8 ft ; i.e., roughly the site PGA of 2.67g. 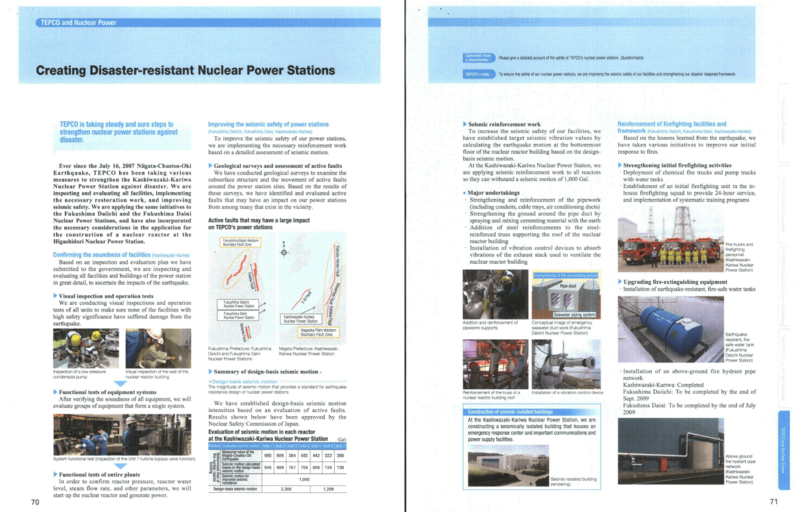 The site experienced a peak ground acceleration that was more than 2.5 times the upgraded PGA capacity of the Fukushima units. In March 2008 TEPCO upgraded its estimates of likely peak ground acceleration (PGA) for Fukushima to 0.61g, and other operators have adopted the same figure. In October 2008 TEPCO accepted 1.02g PGA as the new seismic design basis for Kashiwazaki Kariwa, following the July 2007 earthquake there. 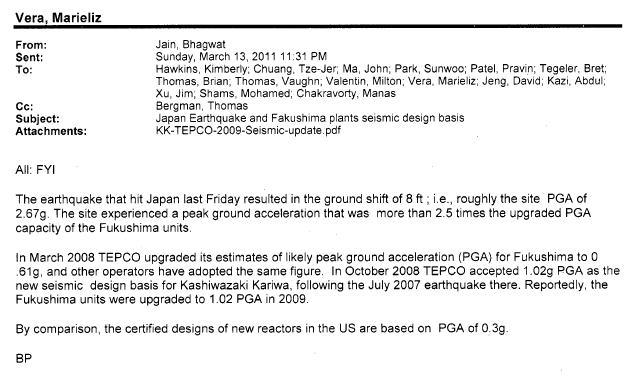 Reportedly, the Fukushima units were upgraded to 1.02 PGA in 2009. By comparison, the certified designs of new reactors in the US are based on PGA of 0.3g.